Sao Paulo native Ney Faustini is a rare fruit among the great transformations that occurred in the city's musical scenario through the past decades. Boasting a career whose initial thrust found support in the vibrant drum and bass scene in the turn of the century and to this day propels itself though many genres, he is one of the most proeminent examples of an unbreakable commitment to music from all origins and stylistic purposes. 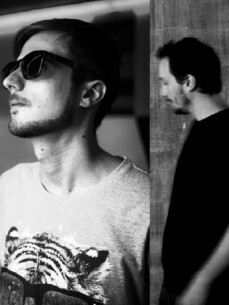 Starting at legendary clubs of his hometown, such as Lov.e and Overnight until reaching the booths of Brasilian bastions of contemporary club culture such as D-Edge and Warung, Ney's trajectory only atests that solid commitment mentioned before and proves the preference shared between a myriad of publics for its bold approach. If we consider that these deeds cover a period of fifteen years through which his successes accumulated in a frequent way and his talent was added to the stellar roster of D-Edge Agency right at its seminal stages, the crowning of this process in occasions such as the recognition as “Best Newcomer in 2013” awarded by Rio Music Conference and being a part the selection for the first edition of Boiler Room in Brasil appear as unexpected for their delay as predictable for their meaning. Given such course, the next natural stage of his artistic development, now entering the terrain of music production, started somewhat recently, yet it is vigousrly undertaken by him. Creating tracks of intricate beauty and refined rhythmic structures, originated in his experience as a top selector, his reputation as one of the most prolific producers in the country has been certified by labels such as Foul & Sunk, Appian Sounds, Fox Trax and Fountain Music and did not take long until garnering support from the likes of Rainer Trüby, Anton Zap, Trickski, Scott Grooves, Julietta, Shur I Kan, Varoslav, Pablo Valentino and Rampa.